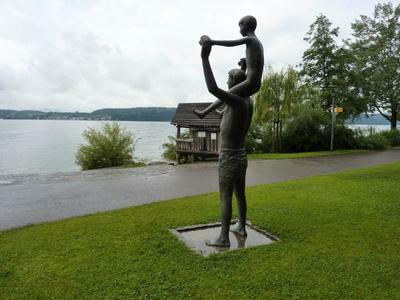 Sited on the harbour wall in the German town of Constance is an enormous revolving statue. This buxom woman holds aloft two small naked figures representing Pope Martin V and Emperor Sigismund. The locals agree that it’s not everybody’s cup of tea, but it certainly gets camera-snapping tourists’ attention. 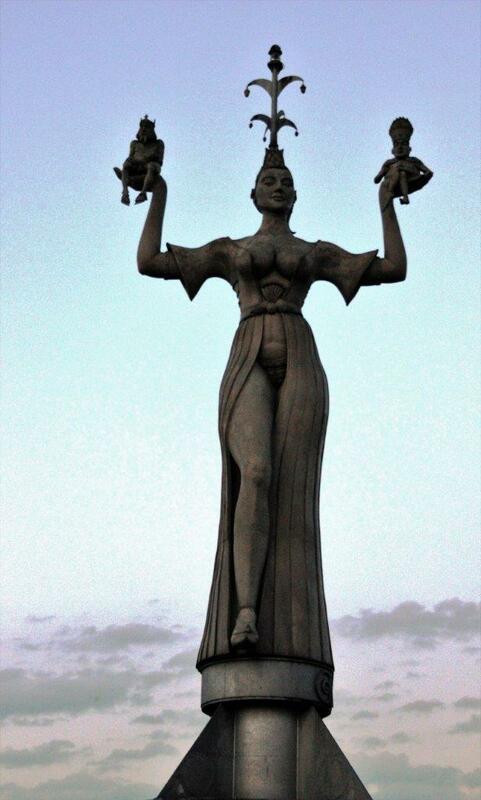 ‘Imperia’ is the 30 feet tall lady’s name and she satirically symbolises the morals of the day when the Council of Constance convened in 1414. 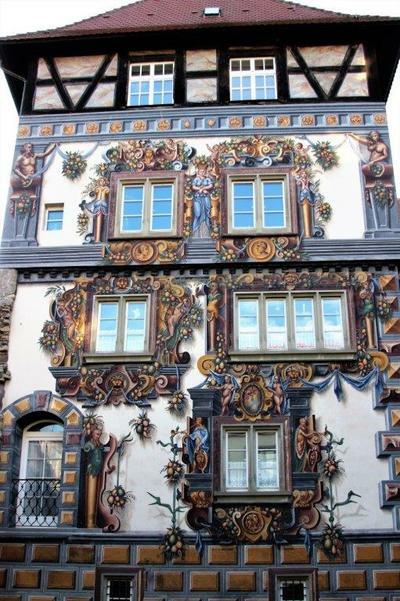 Constance - locals know it as Konstanz - is a picture postcard city on the lake of the same name which borders Germany, Austria and Switzerland. Outlined by the usually mist-veiled Alps, the town has a distinct buzz, partly due to its university – one in seven of its population are students – and it is the ideal base for visitors to the region with regular ferry services to nearby islands. Constance was unscathed in World War 2 because it left its lights burning every night so bomber pilots could not tell it apart from its Swiss neighbour Kreuzlingen. It was considered too close to neutral Switzerland to risk trying to bomb it. This means that the traffic free Old Town with its labyrinth of narrow streets, flamboyantly frescoed buildings and jumble of restored half-timber houses is extremely well preserved. 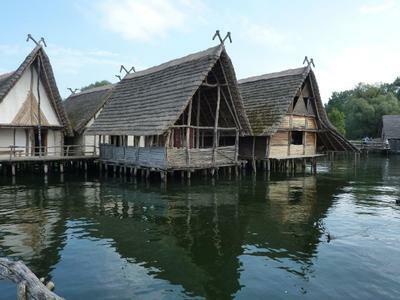 Since prehistoric times, the balmy climate has encouraged settlers to the area and soon after I arrived I was whisked back in time to the Stone Age at the Lake Dwelling Museum near the town of Unteruhldingen a few miles from Konstanz. 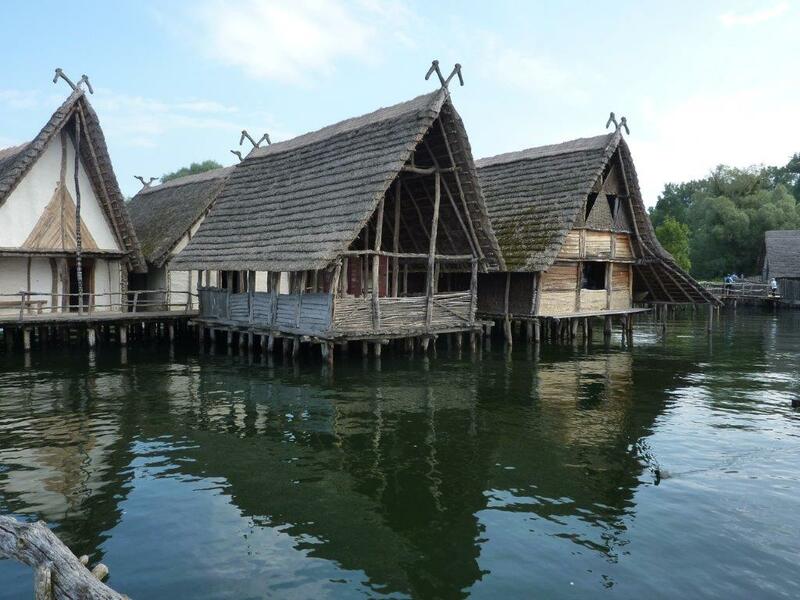 This open-air museum consists of several reconstructed ‘pile dwellings’ built on great wooden stilts driven into the lakebed, each reed roofed house linked by a walkway. Inside visitors can see artifacts including pottery, axes and even preserved food remnants recovered from the lake in a diving excavation in 2002. My history lesson didn’t end there, Mainau was my next stop. Teutonic Knights and Romans once called this small island home. Nowadays it is better known for its gorgeous gardens, providing an almost continuous display of year round colour from more than one million tulips, swathes of bougainvillea, stunning fuschias and glamorous orchids. 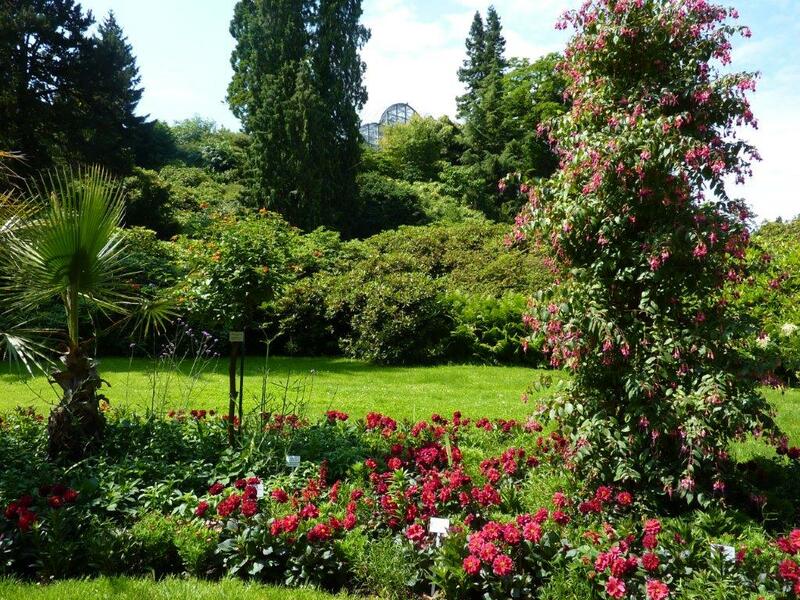 The Italian rose garden created for Grand Duke Friedrich I of Baden in 1871 is a glorious sight from June to August when around 10,000 roses in 1,000 varieties burst into bloom, a delight for the senses. I trod paths crisscrossed by mighty oaks, proud cedars and palm trees while my guide pointed out particular treasures including rare and extremely old specimens. There’s the Viktoria lime for instance planted in 1862 and the knotted pagoda tree, more than 150 years old. With its tinkly waterfalls and sweet sound of birdsong high above, I had to agree that Mainau is tops in the tranquility stakes. 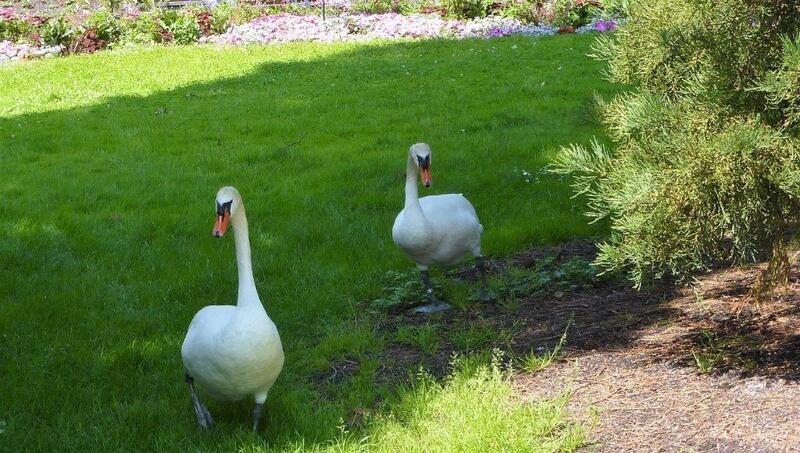 Mainau isn’t only about the flowers though, it also has as a claim to fame a Baroque palace where frequent art exhibitions are held and is home to Germany’s largest butterfly house with over 120 examples of exotic species. 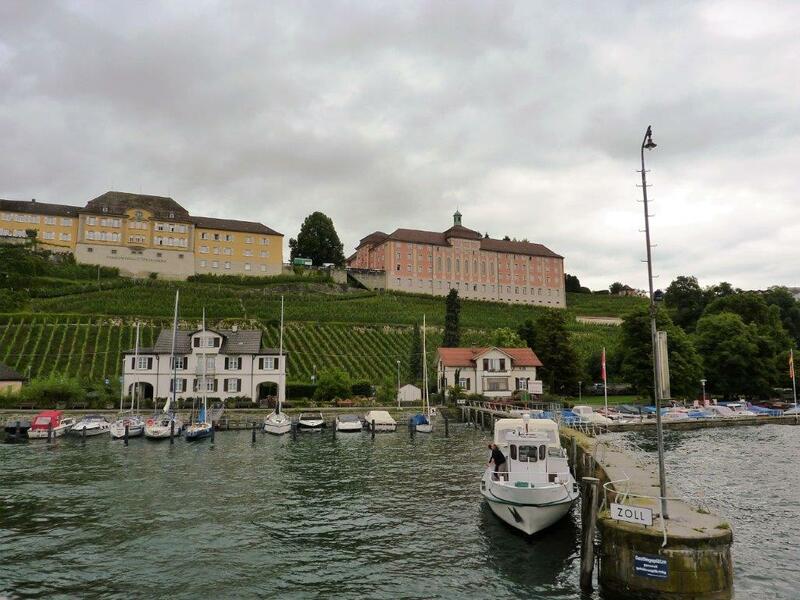 Jump on a ferry to pretty resort town Überlingen, a hoarder of historical sites. Mineral waters here are said to have healing properties and in days of yore provided the town with a source of income. Surrounded by vineyard clad hills, the town has an attractive waterfront. Seven original city gates and towers remain from the 14th century as well as extensive chunks of the old city walls. Its rather splendid City Garden dates back to 1875 and is worth a lingering visit. 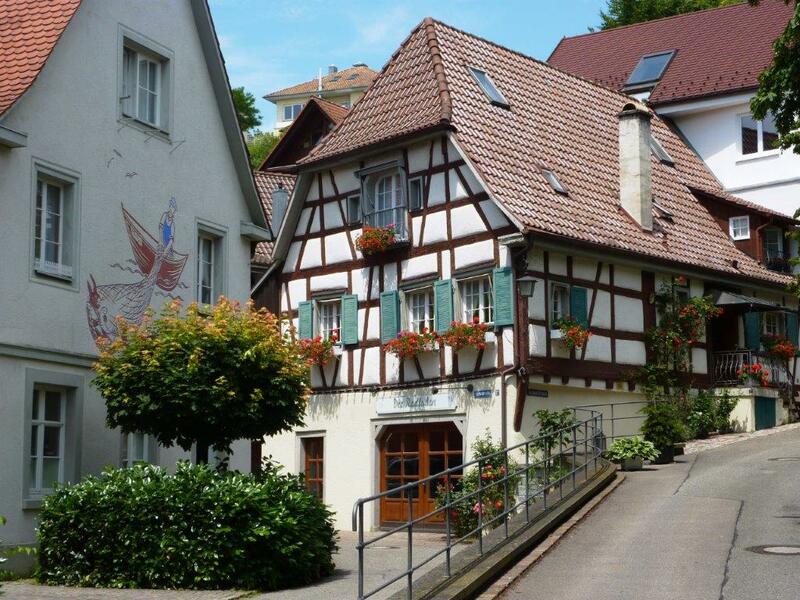 Take a trip to Friedrichshafen, birthplace of the Zeppelin and home to the Zeppelin Museum. A popular exhibit is the reconstruction of a section of the doomed Hindenburg airship which made its maiden voyage across the Atlantic in 1936. 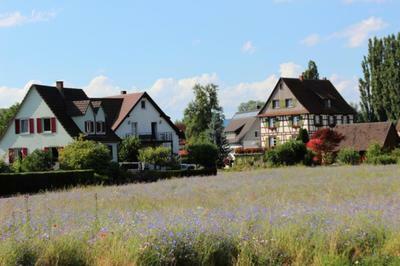 ​Arenenberg Palace in Switzerland, just across the border from Constance, is easy to reach by car or bicycle. 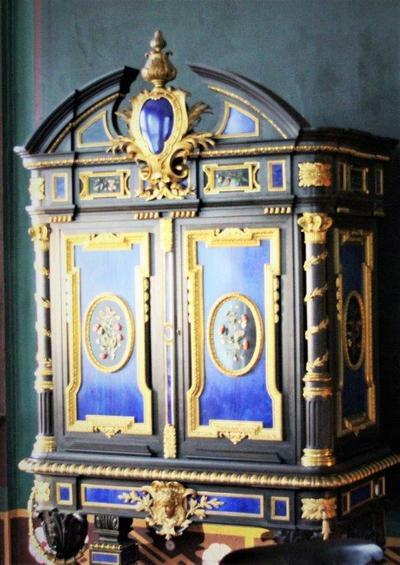 This grandiose building was once home of the Bonapartes and is surrounded by stunning gardens, a cabaret of colour, created by Queen Hortense, exiled first lady of France. A mere breeze away from Constance is ancient Reichenau Island. Around 1200 years ago a monk from Reichenau wrote Europe’s first garden guide in which he described 24 medicinal plants and their uses. In the herb garden visitors can still see plants from his guide including sage, hyssop and juniper which were used to treat leprosy. 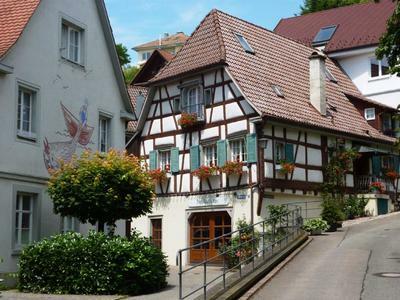 The region is famed for its wines, particularly white Müller-Thurgau, while apples, plums and quinces are refined in lakeside distilleries to create brandies and schnapps.